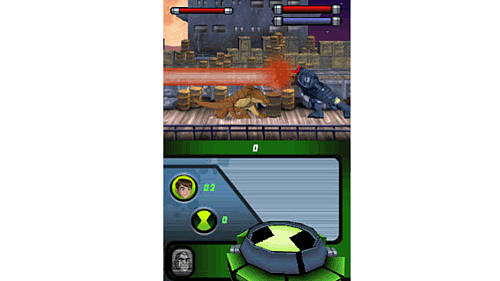 Ben 10: Alien Force the Game, based on Cartoon Network’s hit television series, is the only console videogame that allows players to take command of characters from the Alien Force team to authentically control and experience their adventures. 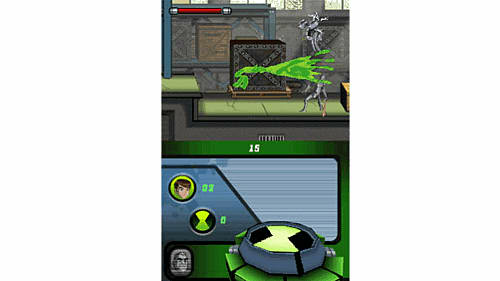 The game begins five years after Ben put away the DNA-scrambling Omnitrix, but now Grandpa Max has gone missing and the planet Earth is in grave danger. 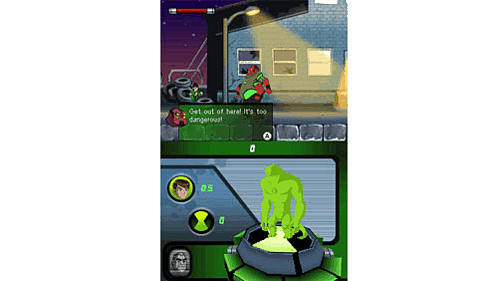 You must help Ben take the Omnitrix out of retirement and lead eight different playable characters - including cousin Gwen, enemy-turned-ally Kevin Levin and five of Ben’s brand new alien forms - Swampfire, Jet Ray, Humungousaur, Spidermonkey and Big Chill -to utilise their all-new super powers and defeat the intergalactic invaders! You will experience tons of all-new story content on all platforms, and can even adventure as additional alien forms Echo Echo, Chromastone and Goop exclusively with the Nintendo DS version. 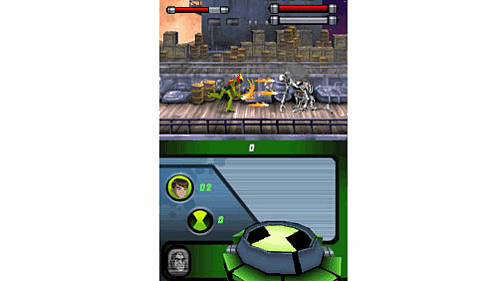 Gameplay is fast-paced, 3D, action adventure style offering an unlimited combo system with puzzles and challenges that will engage players of all levels for hours at a time. Authentically Step Into The ALIEN FORCE World – Play the only console videogame that allows you to command members of the ALIEN FORCE team; investigate never-before-seen locations, enemies and characters, and explore favorite places from the best show episodes. Multiple Playable Characters with Special Superpowers – Take control of Ben and his new alien forms Swampfire, Jet Ray, Humungousaur, Spidermonkey and Big Chill to manipulate fire, swim underwater, grow more than 60 feet tall, stick to walls, fly at mach speed, plus lots more! Harness Gwen’s talent to create an energy shield to protect and attack, and use Kevin Levin’s ability to absorb materials to create impenetrable body armor. Adventure as alien forms Echo Echo, Chromastone and Goop exclusively in the Nintendo DS version. 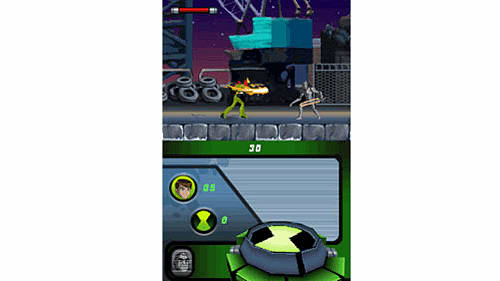 Solid and Robust Gameplay – Explore action-packed levels and secret sections in arcade-style gameplay as you clash with more than 20 types of enemies; use more than 75 attack options and create unlimited attack chaining with the streamlined combo system. Exceptional Level of Authenticity – The game’s art style, sound effects and music are 100% authentic, with all audio in the game pulled directly from the show sound vaults and all voice acting provided by the original television cast.